Hammond, Indiana – Chanel’s Salon, LLC, d/b/a Chanel’s Salon and Chanel’s Cosmetology Salon, and Chanel Jones, all of Merrillville, Indiana, entered into a consent judgment with Chanel, Inc. of New York, New York to resolve ongoing trademark disputes regarding the trademarked term CHANEL®. Indiana trademark attorneys for fashion-and-beauty giant Chanel, Inc. had sued in the Northern District of Indiana alleging that Chanel’s Salon, LLC and Chanel Jones had infringed and were infringing the trademark CHANEL, Registration Nos. 302,690; 510,992; 1,263,845; 1,348,842; 1,464,711; 1,559,404; 1,660,866; 3,134,695; and 4,105,557, which have been registered by the U.S. Patent and Trademark Office. In this Indiana lawsuit, Chanel, Inc. alleged trademark infringement, trademark dilution, unfair competition under federal law as well as trademark infringement and unfair competition under Indiana state law. Chanel, Inc. claimed that its intellectual property rights to its trademark CHANEL had been infringed and diluted by actions of Defendants Chanel’s Salon, an Indiana beauty salon, and its owner Chanel Jones. Specifically, Defendants were accused of using the trade names CHANEL’S SALON and/or CHANEL’S COSMETOLOGY SALON in connection with their beauty salon without Chanel’s authorization. Chanel, Inc. also claimed that the Defendants were infringing and diluting the CHANEL trademark by, inter alia, offering goods and services that are related to those offered under the CHANEL mark, including cosmetics, beauty consultation services and hair accessories. This litigation ended pursuant to a consent judgment crafted by the parties and entered by the Indiana district court. As part of the consent judgment, the court issued a permanent injunction prohibiting Jones from using CHANEL to identify her beauty salon or any other enterprises, services or products. Jones was also enjoined from any use of the term CHANEL as part of any keyword, meta tag, page tag, or source code in any business marketing. The order in this intellectual property litigation was issued by Judge Theresa L. Springmann in the Northern District of Indiana. This case is: Chanel, Inc. v. Chanel’s Salon LLC et al., Case No. 2:14-cv-00304-TLS-PRC. Hammond, Indiana – An Indiana trademark lawyer for Chanel, Inc. of New York, New York, in conjunction with New York co-counsel, sued in the Northern District of Indiana alleging that Chanel’s Salon, LLC and Chanel Jones, both of Merrillville, Indiana, committed trademark infringement and trademark dilution of the trademark CHANEL, Registration Nos. 302,690; 510,992; 1,263,845; 1,348,842; 1,464,711; 1,559,404; 1,660,866; 3,134,695; and 4,105,557, which were issued by the U.S. Trademark Office. Chanel is a fashion and beauty company. For over 85 years, Chanel has used CHANEL as a trade name, house mark and trademark to identify its goods and business. In addition to offering cosmetics, fragrances, and skin care products, Chanel’s goods include hair accessories, such as barrettes, hair clips, and men’s shampoo. Chanel states that it has spent hundreds of millions of dollars to advertise and promote its goods. It indicates that last year in the United States it spent over $50 million dollars on advertising, all of which prominently featured the CHANEL mark. Consequently, it asserts, the CHANEL name and trademark is one of the most famous marks in the world and has become synonymous with Chanel. At issue in this Indiana trademark infringement and trademark dilution lawsuit are the actions of Defendants Chanel’s Salon and its owner Chanel Jones. Defendants are accused of having begun to use the trade names CHANEL’S SALON and/or CHANEL’S COSMETOLOGY SALON in October 2012 in connection with their beauty salon without Chanel’s authorization and, in doing so, impinging on Chanel’s intellectual property rights. Chanel contends in this lawsuit that Defendants are infringing the CHANEL trademark by, inter alia, offering goods and services that are related to those offered under the CHANEL mark, including cosmetics, beauty consultation services and hair accessories. 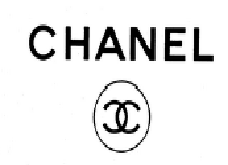 Chanel also asserts that Defendants’ use of CHANEL dilutes the trademark, which Chanel claims is famous. In July 2013, Chanel sent Defendants a cease-and-desist letter requesting that Defendants change the name of Chanel’s Salon to a name that did not include the word CHANEL. Chanel states that Defendants did not respond to this letter and that further attempts to resolve the dispute were unsuccessful. Practice Tip: This is an unusual trademark case in at least two respects. First, while trademark infringement lawsuits are relatively common, colorable assertions of trademark dilution are less so. This is due in large part to the requirement that the trademark that is allegedly diluted be “famous.” This trademark lawsuit is also unusual in that, while the complaint asks the court in passing for “such other and further relief as the Court may deem just and proper,” it does not explicitly seek damages for the alleged trademark infringement and dilution. Instead, the sole purpose of the complaint seems to be to obtain injunctive relief. Richmond, Virginia – PBM Products, LLC (“PBM”) sued Mead Johnson & Company, LLC (“Mead Johnson”) alleging false advertising in violation of the Lanham Act, 15 U.S.C. § 1125(a)(1)(A) and (B), and commercial disparagement. Mead Johnson filed counterclaims against PBM. The district court dismissed the counterclaims and entered an injunction against Mead Johnson. Mead Johnson appealed. The United States Court of Appeals for the Fourth Circuit affirmed. PBM sued Mead Johnson under the Lanham Act, 15 U.S.C. § 1125(a), alleging that Mead Johnson engaged in false advertising and commercial disparagement when it distributed more than 1.5 million direct-to-consumer mailers that falsely claimed that PBM’s baby formula products were inferior to Mead Johnson’s baby formula products. Mead Johnson filed counterclaims against PBM alleging breach of contract, defamation, false advertising, and civil contempt. Mead Johnson’s defamation counterclaim was based primarily on a press release issued by PBM CEO Paul Manning declaring that “Mead Johnson Lies About Baby Formula … Again.” Mead Johnson’s false advertising counterclaim alleged that labels on PBM’s products conveyed several implied messages comparing PBM and Mead Johnson’s formulas. Mead Johnson’s breach of contract and civil contempt counterclaims related to prior litigation between the parties. On appeal, Mead Johnson presented three clusters of issues for review by the Fourth Circuit: (1) whether the district court erred in its dismissal of Mead Johnson’s counterclaims; (2) whether the district court abused its discretion in its admission of expert opinion testimony and evidence of prior litigation between the parties; and (3) whether the district court erred or abused its discretion in issuing the injunction. The dismissals of Mead Johnson’s counterclaims for breach of contract, defamation, false advertising, and civil contempt were all affirmed. The allegedly defamatory statement “Mead Johnson Lies About Baby Formula … Again” was held to be true, as it was found that Mead Johnson had made false statements prior to the publication of PBM’s press release (“Mead Johnson Lies”) and had also made previous false statements about PBM’s baby formula (the “Again” portion of the PBM’s press release). The dismissal of the defamation claim on summary judgment was held to be proper as no false statement had been made. The Fourth Circuit then upheld the district court’s disposal of Mead Johnson’s Lanham Act counterclaims as a matter of law. Those claims accruing prior to the two-year statute of limitations were affirmed to be time-barred. Claims accruing after that period were affirmed as correctly estopped under the equitable principle of laches. The Fourth Circuit also held that the district court did not err in granting judgment as a matter of law on Mead Johnson’s Lanham Act counterclaim concerning PBM’s rice starch formula advertisements, holding that the district court had properly concluded that, because the consumer surveys that had been conducted by Mead Johnson had failed to address the allegations in the lawsuit, no relevant evidence had been produced by Mead Johnson on this claim. Moreover, it was held that Mead Johnson had failed to show either falsity of the statements or that any damage was caused by any of the “compare to Enfamil” language that had been used by PBM. 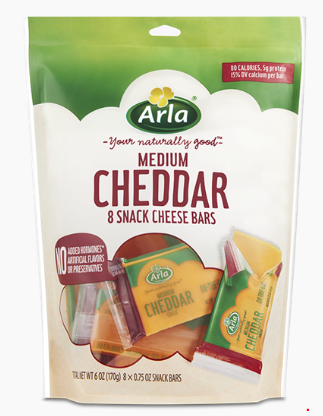 The appellate court then addressed Mead Johnson’s contention that the district court erred by admitting (1) expert survey evidence and (2) evidence of prior Lanham Act litigation between the parties. These decisions were reviewed for abuse of discretion. The Fourth Circuit then turned to Mead Johnson’s contention that the injunction issued by the district court had been improper. Mead Johnson argued that the injunction was improper for two reasons. First, it asserted that PBM failed to establish any risk of recurrence of the violation. Second, it argued that the scope of the injunction was too broad, as it prohibited conduct that PBM had not proved at trial and that it was beyond the harm PBM sought to redress. Finally, Mead Johnson argued that, because the general jury verdict did not specify which of the four statements in the mailer the jury found to be false and/or misleading, the district court’s injunction must be limited only to the mailer or other advertisements not colorably different from the mailer. The Fourth Circuit rejected the narrow construction suggested by Mead Johnson. It noted again that, inter alia, Mead Johnson’s claim that it was the “only clinically proven” formula had been found to be misleading by the district court. It concluded that because the district court’s interpretation of the jury verdict was plausible in light of the record viewed in its entirety, the factual findings upon which it based the scope of its injunction could not as a matter of law be clearly erroneous. Consequently, the scope of the injunction also was affirmed. Practice Tip #1: These parties are familiar combatants on the Lanham Act battlefield. For example, in 2001, Mead Johnson distributed brochures and tear-off notepads to patients in pediatricians’ offices stating that store-brand formula did not have sufficient calcium or folic acid. PBM sued and obtained a restraining order prohibiting Mead Johnson from making similar statements. The parties settled that dispute. Then, in 2002, Mead Johnson distributed a chart to physicians stating that store-brand formula did not contain beneficial nucleotides. PBM sued and, again, the parties settled. Practice Tip #2: The Lanham Act prohibits the “false or misleading description of fact, or false or misleading representation of fact, which … in commercial advertising or promotion, misrepresents the nature, characteristics, qualities, or geographic origin of his or her or another person’s goods, services, or commercial activities.” 15 U.S.C.A. 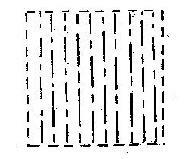 § 1125(a)(1)(B). Practice Tip #3: In the Seventh Circuit, as with other federal circuits, “[A] court may find on its own that a statement is literally false, but, absent a literal falsehood, may find that a statement is impliedly misleading only if presented with evidence of actual consumer deception.” Abbott Labs. v. Mead Johnson & Co., 971 F.2d 6, 14 (7th Cir. 1992). Practice Tip #4: Before an injunction may issue, the party seeking the injunction must demonstrate that (1) it has suffered an irreparable injury; (2) remedies available at law are inadequate; (3) the balance of the hardships favors the party seeking the injunction; and (4) the public interest would not be disserved by the injunction. eBay, Inc. v. MercExchange, 547 U.S. 388, 391 (2006). Indianapolis, Indiana – Indiana Court of Appeals Judges Elaine Brown, Edward Najam and Paul Mathias reversed a trial court’s entry of preliminary injunction, holding that the non-compete agreement at issue was overly broad and, thus, unreasonable as a matter of law. Glacier Group (“Glacier”) provides employee recruiting and placement services in the field of information technology. It primarily places salespeople, pre-sales engineers, systems engineers and people in leadership positions such as directors, vice presidents, chief financial officers and chief executive officers. Daniel Buffkin began working as a sales recruiter for Glacier in August 2008. Buffkin’s work with Glacier was subject to an “Independent Contractor Agreement” (the “Agreement”). In June 2011, Glacier terminated the Agreement with Buffkin. In November 2012, it sued Buffkin alleging that he was in breach of the non-competition portion of the Agreement and requesting damages and injunctive relief. From this ruling, Buffkin brought an interlocutory appeal to the Indiana Court of Appeals. He argued that the non-compete clause of the Agreement was unreasonable and therefore unenforceable. He first asserted that the non-compete clause was overly broad because it did not have any restrictions regarding which industry it covered. He contended that, as written, the Agreement purported to prohibit him from doing executive recruiting in any industry. He also argued that the Agreement did not protect a legitimate interest of Glacier and that the restrictions on geographic scope were overly broad. Buffkin asked the Court of Appeals to hold that the trial court had abused its discretion in granting the preliminary injunction. Glacier countered that it had provided Buffkin with insider knowledge and that Buffkin could not have had the success that he had after leaving Glacier without having used the proprietary information which he had acquired during his time with Glacier. It maintained that it had a protectable interest as a result of Buffkin’s purported use of insider knowledge acquired at Glacier and that Buffkin’s use of that information to Glacier’s detriment should be enjoined. The appellate court first considered whether Glacier had an interest to be protected. It held that, while Buffkin may have acquired training, knowledge and skills while working at Glacier, such general skills would not be sufficient to rise to the level of a protectable interest unless their use would result in irreparable injury to Glacier. No such irreparable injury was proven. Glacier also failed to prove that, during his time with the company, Buffkin had access to proprietary information which gave him an improper advantage at Glacier’s expense. The court concluded that the interest to be protected by the non-competition provision of the Agreement, if any, was minimal. The reasonableness of the restrictions was then addressed. Two provisions in particular were at issue: the geographic restriction and the activities restricted. The Agreement had attempted to restrict Buffkin from performing recruiting or placement services for employers “with offices in the continental United States.” The court held that Glacier had not met its burden of proof to demonstrate that it had a legitimate interest to be protected by such a broad restriction and held the geographic restriction to be unreasonable. The court next held that the broadly worded text restricting Buffkin from being “connected in any way with any business that competes” with Glacier, and which made no distinction between past, current, or potential future customers of Glacier was excessive and, thus, unenforceable. It held that the trial court’s ruling had been clearly erroneous and that it had abused its discretion by granting the preliminary injunction. Practice Tip #1: The Indiana Supreme Court has held that, to be enforceable, a non-compete agreement must be reasonable and that “[u]nlike reasonableness in many other contexts, the reasonableness of a noncompetition agreement is a question of law.” Such agreements in employment contracts are strongly disfavored under Indiana law as restraints of trade. They are scrutinized more closely than most other types of contracts and are strictly construed against the employer. Identifying a party to the contract as an independent contractor rather than as an employee does not change the analysis. Practice Tip #2: A preliminary injunction should not be granted except in rare instances in which the law and facts are clearly within the moving party’s favor. To obtain a preliminary injunction, the moving party has the burden of showing by a preponderance of the evidence the following: (1) a reasonable likelihood of success at trial; (2) the remedies at law are inadequate; (3) the threatened injury to the movant outweighs the potential harm to the nonmoving party from the granting of an injunction; and (4) the public interest would not be disserved by granting the requested injunction. If the party seeking the preliminary injunction fails to prove any of these requirements, the trial court’s grant of an injunction will be considered an abuse of discretion. Indianapolis, Ind. – The Indiana Court of Appeals has affirmed the judgment of the Hamilton Circuit Court granting a preliminary injunction in favor of Classic Restaurant Services of Westfield, Ind. against former employee Christopher Snyder for tortious interference with business relationships. Classic Restaurant Services, LLC (“Classic”) provides heating, air conditioning, refrigeration, and cooking equipment sales and service predominantly to restaurants throughout central Indiana. Christopher Snyder began working as a service technician for Classic in 2009. Snyder did not have a non-compete agreement with Classic and was expressly permitted to do residential jobs on the side while using his company vehicle. During his more than three years of employment, Snyder serviced all of Classic’s customers. In the summer of 2011, Snyder began organizing his own competing business and planning to take customers from Classic. By July 2011, Snyder had succeeded in taking the business of two Subway restaurants from Classic. He serviced these restaurants after hours on his own behalf. Classic did not know that it had lost these customers to Snyder. In the fall of 2011, Snyder unsuccessfully attempted to solicit Ruby Tuesday restaurants to transfer their business to him. Although he was still employed by Classic, Snyder had prepared to compete by purchasing and outfitting a van, obtaining business cards and insurance, and printing marketing flyers. He distributed his flyers to several restaurants in central Indiana and, in February 2012, organized his new company, A Plus Air LLC. Snyder resigned from Classic in April 2012 but retained a binder that contained contact information of all Classic’s vendors and customers. This list was marked confidential and Classic employees had been directed on numerous occasions to keep its contents confidential. Snyder continued to use the list for his new business. He also obtained additional Classic documents from Doris Warswick, Classic’s office manager, who knew of Snyder’s intention start a competing business. Classic sued, asking that Snyder be enjoined from “continuing to interfere with the relationships that Classic had with customers while he was employed” but agreed that Snyder should be otherwise free to compete in the local restaurant HVAC business. The Hamilton Circuit Court found that “while he was Classic’s employee and agent, Mr. Snyder engaged repeatedly in self-dealing and other acts of disloyalty to his employer and principal, thereby breaching his fiduciary duties to Classic.” It concluded that Classic had a reasonable likelihood of success on the merits on its claims for 1) tortious interference with Classic’s business relationships and 2) misappropriation of trade secrets and granted the injunction. Snyder appealed. He did not dispute that he had actively violated his fiduciary duties to Classic during the last year of his employment but argued instead that this prior misconduct should not affect his ability to compete with Classic following the termination of his employment. In a unanimous memorandum opinion, the appellate court upheld the injunction on the grounds of a likelihood of success on Classic’s tortious interference claim. It further held that Snyder’s claim that a preliminary injunction was improper because he no longer owed a fiduciary duty to Classic was entirely unsupported and without merit. The appellate court did not reach Snyder’s arguments against Classic’s trade-secret claim, as Classic’s tortious interference claim was sufficient to support the trial court’s grant of a preliminary injunction. Indianapolis, IN – Trademark lawyers for Royal Purple, LLC of Indianapolis, Indiana sued Liqui Moly GmbH of Ulm, Germany in the Southern District of Indiana alleging trademark infringement for selling purple automotive lubricants. It also owns multiple trademarks incorporating the word “purple” as applied to various goods. These trademarks are registered with the US Trademark Office. Purple was chosen for its association with royalty. (Historically, purple dye was so expensive to produce that it was used only by royalty.) Royal Purple’s purple-identified lubricant products are sold in over 20,000 retailers in the United States and Royal Purple claims a strong secondary meaning and substantial goodwill in its trademark as a result of this use. Royal Purple also alleges that Liqui Moly’s use is a purposeful attempt to trade upon Royal Purple’s trademark and that Liqui Moly’s use will dilute the “distinctive quality” Royal Purple’s trademarks. Finally, it alleges that Liqui Moly’s use removes from Royal Purple its ability to control the quality of products and services provided under Royal Purple’s trademark, by placing them partially under the control of Liqui Moly, an unrelated third party. The federal claims include trademark infringement, unfair competition and dilution under the Lanham Act; Royal Purple has also alleged dilution, trademark infringement, unfair competition and unjust enrichment under Indiana common law. Royal Purple seeks a preliminary and permanent injunction, the destruction of all allegedly infringing inventory, treble damages, costs and attorneys’ fees. Practice Tip: Color can serve as a useful identifier of the source of goods to consumers. The courts, however, have had to draw some narrow lines to balance the various interests. On the one hand, companies often invest significant amounts of money in promoting their brands and color is frequently a component of that promotion. On the other hand, there are a limited number of colors – and an even more limited number of colors that are pleasing and appropriate for any given type of product – and courts are wary of providing a monopoly on any given color to any one company. After all, if such a monopoly is first provided to one company, all too soon the entire spectrum may be spoken for. Indianapolis, Ind. – Plaintiffs Cosco Management, Inc. (“Cosco”) and Dorel Juvenile Group, Inc. (“Dorel”) of Columbus, Ind. along with Ameriwood Industries, Inc. (“Ameriwood”) of Wright City, Mo. filed a patent infringement suit alleging Wing Enterprises, Inc. (“Wing”) and Wing Enterprises, Inc. d/b/a Little Giant Ladders (“Little Giant”) of Springville, Utah have been infringing and continue to infringe certain claims of Patent No. 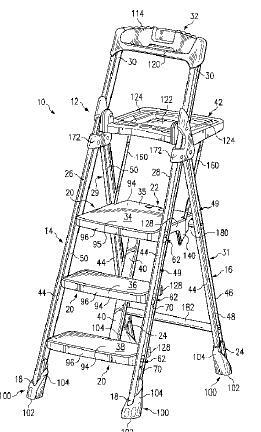 6,427,805 (the “‘805 Patent”), entitled “Folding step stool,” which has been issued by the U.S. Patent Office. The plaintiffs assert that the defendants’ Flip-N-Lite step ladder infringes upon various claims of its ‘805 patent. That patent was issued in 2002 and was initially assigned to Cosco. Cosco licensed the patent exclusively to Dorel which, in turn, assigned those exclusive rights to Ameriwood. Plaintiffs state that both Wing and Little Giant, by their allegedly infringing activities, have caused Cosco, Dorel and Ameriwood irreparable harm for which there is no adequate remedy at law. Plaintiffs assert that this conduct has been willful. Plaintiffs ask for a permanent injunction against activity found to infringe the ‘805 patent, an order directing the destruction of all equipment used in the alleged infringement, damages up to triple the amount of the actual damages, costs and reasonable attorneys’ fees. Practice Tip: It is unclear why Wing Enterprises, Inc. is listed as a defendant twice – once as Wing Enterprises, Inc. and again as Little Giant Ladders, an assumed business name. Various jurisdictions have held that it is acceptable to sue under an assumed name. For example, under Texas case law, one can sue an individual under his real or assumed name if he has filed an assumed name certificate and conducts business under that assumed name. See Employees Loan Co. v. Templeton, 109 S.W.2d 774, 778 (Tex. Civ. App. 1937). However, listing one party twice, whether as a plaintiff or a defendant, is traditionally viewed as unnecessarily duplicative.